Want to see a sample of the graduation materials before you purchase each item? 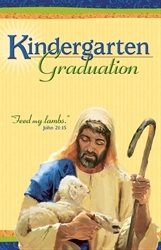 This set featuring a shepherd theme includes a sample of each: diploma, program cover, and invitation with envelope. Also see our sample set featuring a children theme.